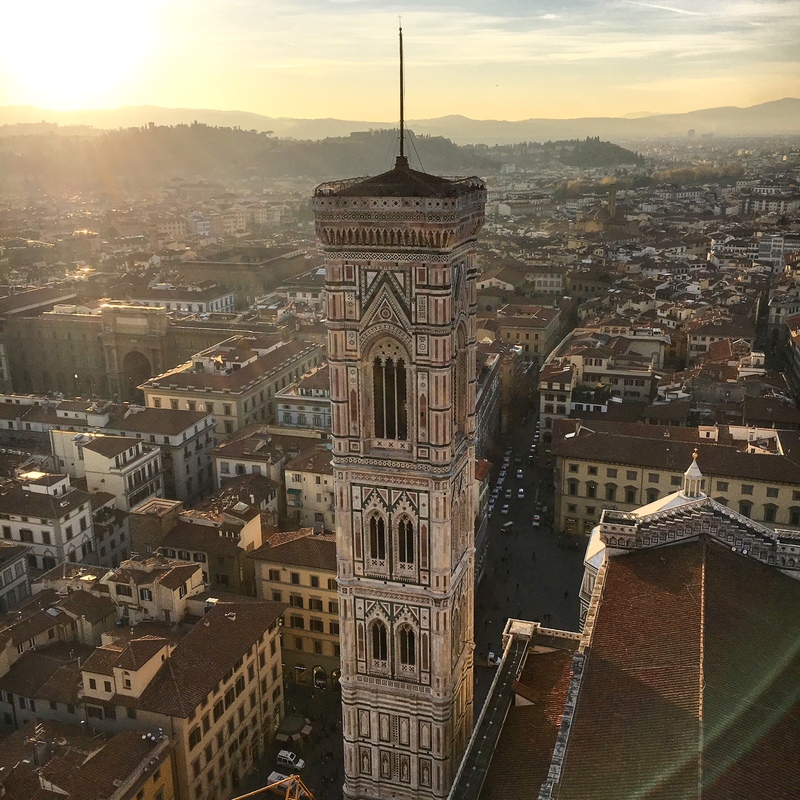 While studying abroad in Florence, climbing to the top of the Duomo is a must. To get to the amazing view, you climb 463 steps through tight corridors in the interior of the dome. But, these steep stairs weren’t originally meant for public use. The corridors were meant for the workmen to perform maintenance on the Cathedral and now they see hundreds of people a day, from all over the world. Be sure to reserve your place in line to climb the Duomo, as there is no other way to get up there! Once you have finished the steep hike up, enjoy the view. And if you’re up for it, the pass to climb the Duomo also allows entrance to climb Giotto’s Bell Tower! For most of us, this is the most exercise we’ve had all semester. If you have a great travel story, photo, or experience to share, we want to hear it! Email Sydney at thetraveller@bohotravel.org for the chance to have your work published on the FlorenceForFun blog. FlorenceForFun is a travel agency that specializes in organizing days trips, weekends away and fall & spring break trips for study abroad students in Florence. We have been working with students for a decade organizing events and travel. Let us do all the hard work and planning so you can focus on having another amazing weekend away. We have an office in the center of Florence where you can book tours, get information about Florence or ask us about traveling in Europe.